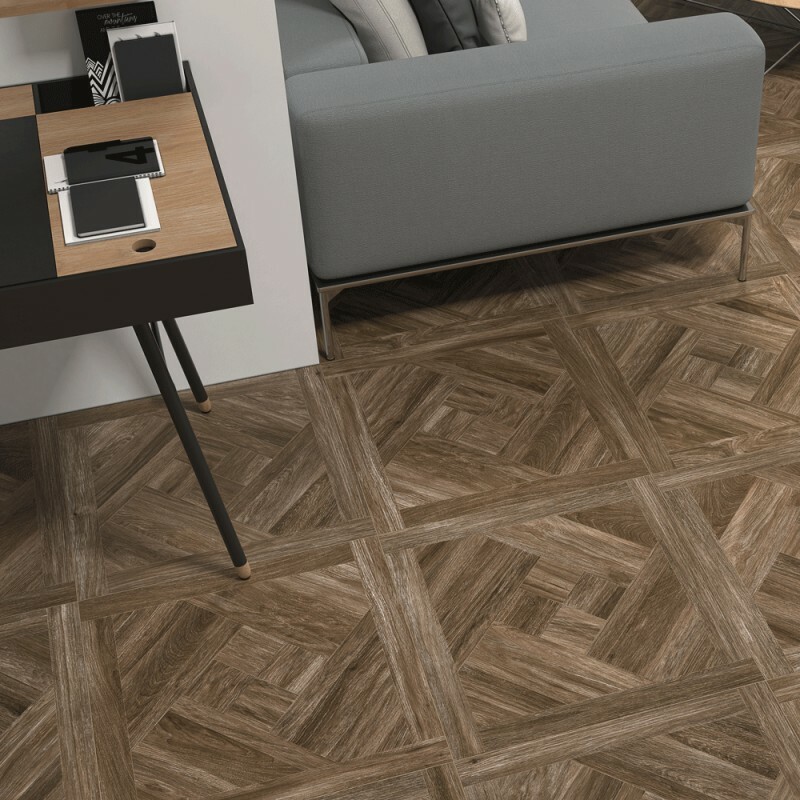 A large format porcelain tile, with a distinct parquet effect design with natural edges. 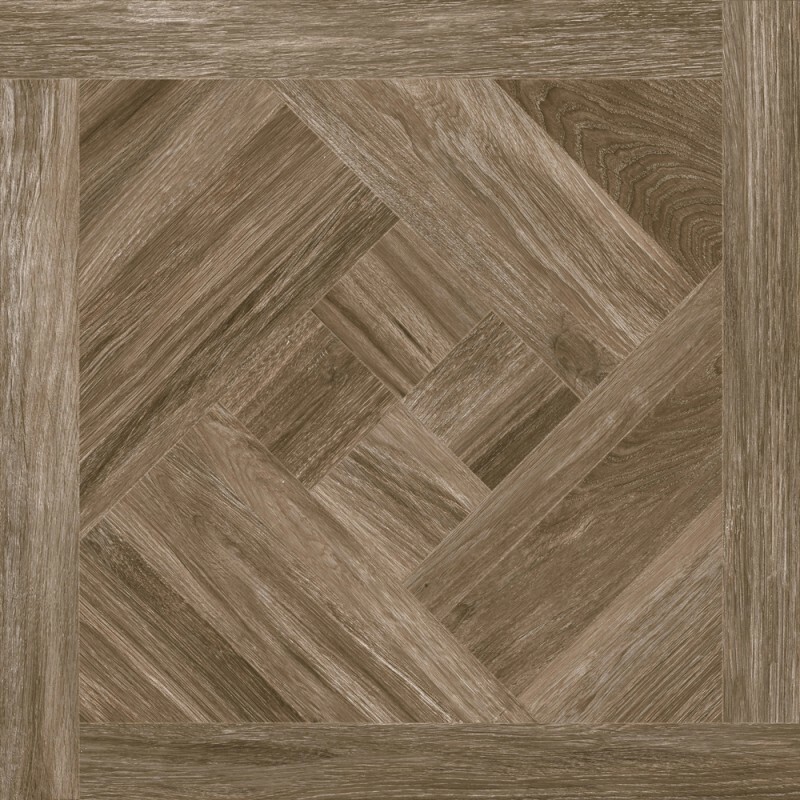 It has a dark oak/wenge colouring , & offer the illusion of a beautifully carpentered parquet floor. 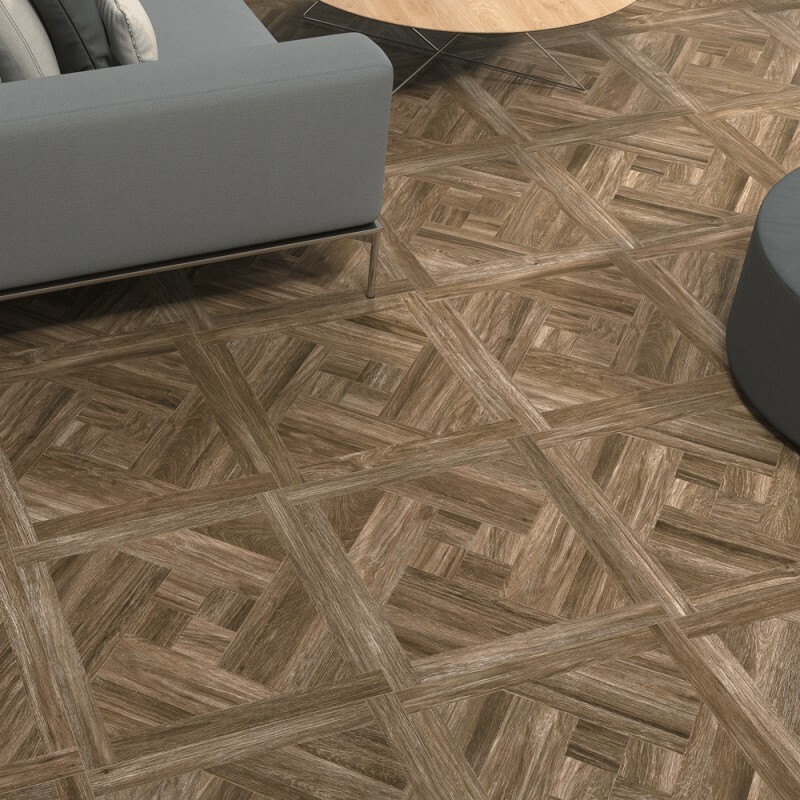 Being made of porcelain they are robust, easy to clean & offer a straight forward installation.